Getting a bunch of rambunctious young children to behave during a game takes a lot of adult supervision and discipline. If you choose games that don’t require rowdy behavior, you’re a step ahead of the attitude issues. Select games that require a little strategy, thinking, teamwork or healthy competition for a party that runs smoothly and provides everyone with an enjoyable experience. One of the most challenging – and tasty – party games for 7 year old children is the hanging candy apple game. Purchase (or make) caramel-covered apples, preferably with the sticks pre-inserted. If the sticks aren’t present, insert them yourself. Tie pieces of string around a hanging ledge or bar suspended several feet off the ground. This might be a swing set or a tree branch. Make sure there is one string per child. Then, tie the candy apple stick to the hanging end of the string. You’ll have to customize each height so that the candy apple hangs at the same level as the child’s mouth when they’re standing up. Have each child hold their hands behind their backs, and blindfold them. 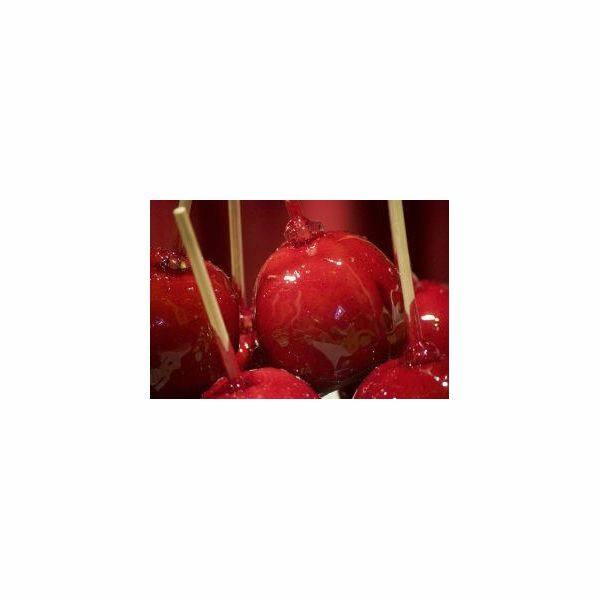 Hold a contest to see which child can eat the most candy apple first. The game is challenging because not only can they not see the apple, they can’t hold it still with their hands. Thus, they must use their teeth to hold it in place. This interactive game is perfect for seven year olds with budding imaginations. Have the guests sit in a circle while the birthday boy or girl goes to another room out of hearing range. Tell the guests to come up with a character role for the birthday child. This might be a child celebrity, a fantasy career role, or a movie character. When the birthday child reenters the room, he or she will go around the circle asking what they need to purchase or collect in order to fulfill their role. For example, if the guests decide that the child should be a gymnast, answers might include a leotard, tights, shoes, chalk, a balance beam and a trampoline. Obviously, the child cannot actually collect most of these objects, so they must use their imaginations. If they can, however, you can add this portion of the challenge to the game. The child wins if they can guess what they are before asking everyone in the circle. If they can’t, the game starts over and guests must pick another role. For the sake of time, if there are several guests who would like to take a turn, you might have to move onto a new player. Many music video games come with party versions of the game that allow you to get all your guests involved in the fun. Plus, if you rely on the game console and attachments to provide all the fun, that’s less prep you have to come up with. For example, SingStar games for PlayStation come with party options that let players take turns with the microphone. DJ Hero 2’s Empire mode features songs up to 15 minutes in length, allowing for the turntable to be passed around to different players. Both of these games also feature dueling player options for competitions. You can split guests into teams to battle against each other. The team with the most (or least) points, wins. These are good party games for 7 year old children because they’re still into messing around on a microphone, unlike older kids who might feel more self-conscious about the way they sound in front of other people. Dance games, like Dance Dance Revolution, are also ideal options for kids. The content is ordinarily not too mature, and they’re likely to know most of the songs on the game. Again, since kids at the 7 year old stage aren’t too picky about what they look like while dancing, they’ll have more fun with each other than with older kids while playing this at a party. Naturally, your child’s party probably has a theme. For example, if it’s a seventies disco theme, get them the ABBA SingStar game to play and encourage the guests pick groovy seventies characters for the “What’s My Line” game. If they’re having a sleepover-themed party, think about having them do the candy apple game at night (although you might not need to blindfold them if you choose to do it late). Try to tie your theme in anyway you can with alterations to the way they will play the games.